The plunging oil price that has lost more than 50 percent over the past year won’t damage Gazprom’s key investment projects including Turkish Stream and Power of Siberia gas pipelines, says the company’s financial director. “The company is in good financial shape despite of all the currency fluctuations and is ready to implement all of its investment plans even with oil prices dropping to $40 or even to $30 per barrel,” said Andrey Kruglov, the financial director of Gazprom. On Thursday, Brent crude traded around $58 a barrel which marked a cooling from the recovery at the beginning of the month, when it hit $60 a barrel. 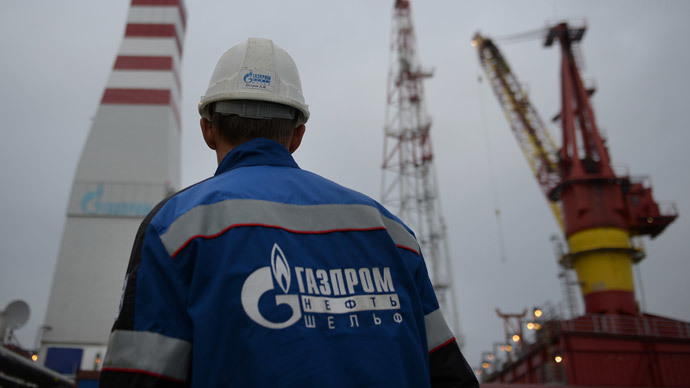 Gazprom has approved an 840 billion ruble ($13.5 billion) investment program for 2015. “None of the European partners we are working with have doubted the reliability of our company. Total, Gaz de France and other partners of Gazprom do not express any concern and are sure of stable long-term cooperation,” Kruglov added. All the projects, including big ones, such as Turkish Stream and Power of Siberia would be implemented, according to the executive. Gazprom can repay all its debts within a year if there’s a need. Dollar and euro earnings from exports of gas and other commodities account for a large part of the company’s revenues that’s why the company is in a good shape. Kruglov also said Gazprom sells its currency earnings.